My restaurant ‘to-do’ list currently stands at 48 places where I want to spill my wine – and that’s just in London. It’s going to take me years of waistband stretching and teetering on the edge of bankruptcy to get through all of them, which is frustrating when you’re trying to shamelessly big up your blog. So my decidedly un-novel solution is to start a monthly restaurant review roundup, highlighting the places I’ve been to but also pointing out where other bloggers have filled in the gaps in style. There’s inevitably going to be a bit of a bias towards newcomers, though I’ll exclude anywhere I’m planning to visit soon. Of course, if you’ve written a cracking review and want me to feature it, just sling an email over or hit me up on Twitter. Pithy negative reviews actively encouraged. Other reviewers haven’t been impressed with Opso but, with all due respect, they are wrong. Opso’s modern Greek cooking is delightful, playful, inventive, satisfying and quite unlike anything I’ve had in London before. …given that what I know about the infinite complexities of Japanese cuisine could be written on the back of a Wasabi loyalty card, all I can do is tell you that whether Sasuke offer London’s most, or least authentic ramen, or most or least innovative, it is absolutely lovely, not to mention very good value. I came away thinking that was one of the best restaurant experiences I’ve had recently. It was everything you could want in hospitality; a warm welcome, a fun crowd, just the right level of interaction to be amusing but unobtrusive. They’ve got it bang on. I’ve had a relatively quiet month, but I did manage to throw together a guide to Wimbledon’s 10 best restaurants, which was topped by ‘how can it possibly be this cheap?’ pizza mini-chain Franco Manca. 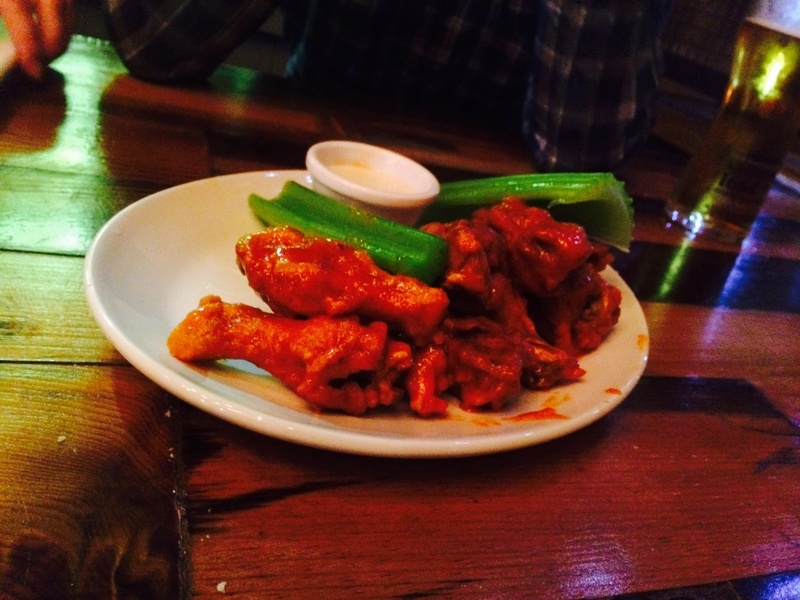 I also found out that the Sports Bar & Grill serves authentic dive bar Buffalo wings (you can decide if that’s a good thing), and if you’re really feeling like losing faith in all things edible, I can try and tell you where to eat in Hannover. ← What’s the Best Restaurant in Hannover, Germany?